This powerful chip LED outdoor spotlight consumes 50 watts of power thus providing efficient lighting. It lights up large areas and rooms with an optimal daylight luminous colour of 6,500 kelvins. The high light output of 4,230 lumens intensifies the bright effect. The outdoor light is best suited for use in garages, entranceways or workrooms. The high power chip LED produces hardly any warmth, saves energy and impresses with its extreme durability. The outdoor spotlight therefore has no need of maintenance. 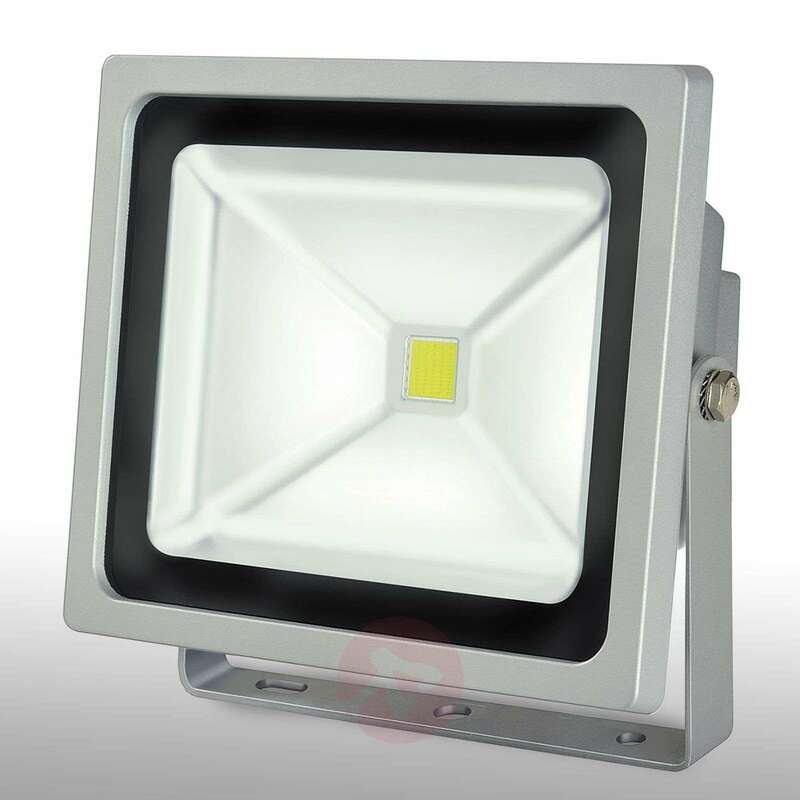 The LED is shock-resistant and the die-cast aluminium frame is also very robust. The transparent security glass covering the bulb is completely immune to shocks and impacts. The light can be safely used outdoors thanks to its IP code of IP65.